When a coat is too much and a wrap is not quite enough to keep out the winter chill, go the Bomber or Biker Jacket. It's the contemporary alternative. I picked up the jacket above last week and remembered what a great wardrobe staple this style is. Try a new season colour, such as rust or burgundy, to wear with your existing winter basics. 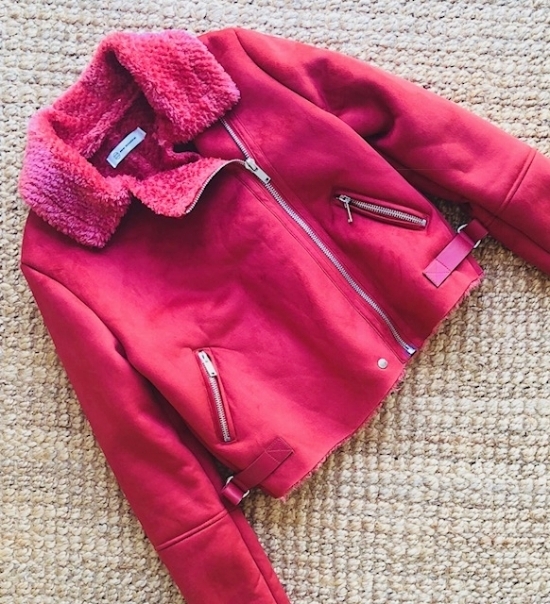 Faux fur, leather, pleather, suede or a lamb shin look, wearing the bomber or biker style jacket is an easy way to create a chic look. 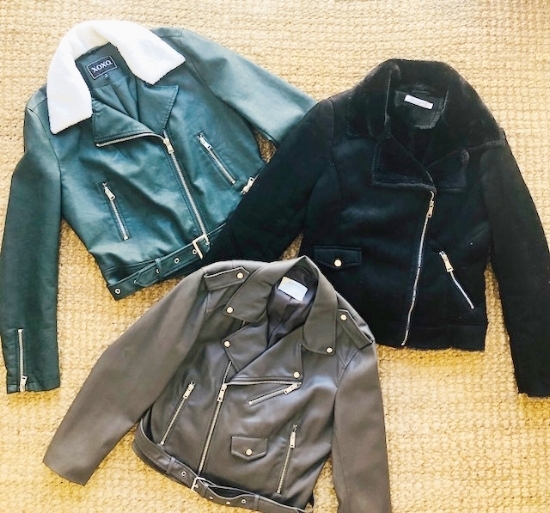 You'll love how much wear you'll get from just two jackets once you add them to your wardrobe - one in a colour and one in black. Stay warm!